In an earlier post I wrote about how rituals could easily lose their juice on the one hand, or be gateways to an incarnate beauty on the other. I spoke of the Catholic Mass and its climax in the Consecration. Today, I would like to reflect upon the Japanese Tea Ceremony since I think that the analogy between the Tea Ceremony and the Catholic Mass is particularly apt. Truth to tell, most Americans and many Japanese find the tea ceremony a crashing bore. One finds oneself kneeling uncomfortably while watching an unsmiling and perhaps nervous young woman whisk tea into a bilious froth. Being asked to eat an over-the-top sweet while feeling large and clumsy in one’s ignorance of the proper ritual can be a nerve-racking experience. “What’s all the fuss about?” is a perfectly good question. Imagine how partial and mechanical it would be to isolate the five minutes of the consecration from its context within the Catholic Mass. Even more profoundly, it would be a jarring dislocation to view the consecration outside of the encompassing rich spirituality of its tradition and of the masters of that tradition. The same is true of the Tea Ceremony. What most of us witness is a small slice cut from the rich texture of the complete ceremony and its ancient tradition. Before outlining a few of the values inherent in the Tea Ceremony, I’d like to share a couple of my experiences in Kyoto, where I lived for many years. I was once invited to participate in a formal Tea Ceremony at one of the venerable villas in the Higashiyama district, close to the Silver Pavilion. There were 7 guests, six of whom were Tea Masters from various parts of Japan. I was clearly the odd man out. The ceremony itself was offered by two famous Masters from the Urasenke School founded by Sen No Rikyu (about whom I will speak later). I had to memorize four pages of movements and formulas so as not to embarrass my host. The Ceremony lasted for four hours! The guests first gathered in the garden while we had a chance to get to know each other. We then had formal tea (thick tea) in the main tea room, while the Masters explained the origin and history of the cup from which we drank. This was one of the most important elements of the ceremony. 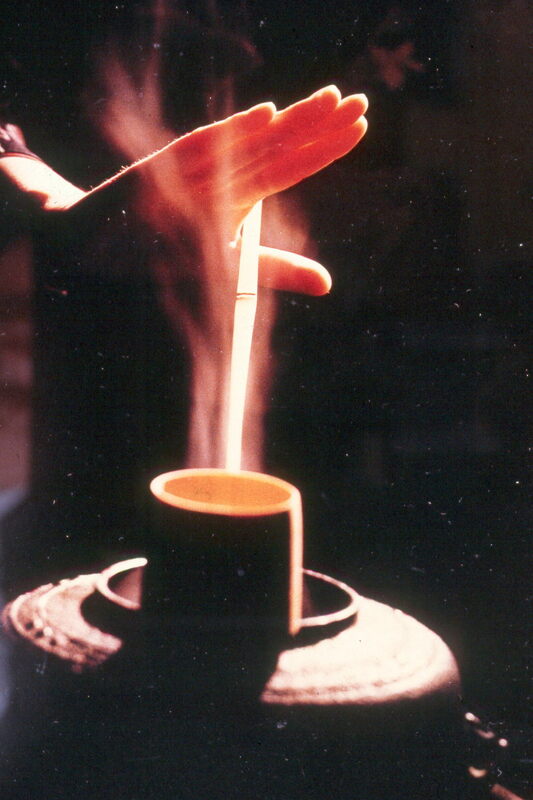 The cup was crafted by a famous potter over four hundred years ago, and had graced many famous tea ceremonies. The feeling of an amazing history living today in this very cup was inexpressible. We next adjourned to a porch overlooking a beautiful Zen garden framed by the borrowed landscape of the Eastern Hills. Here we were served an elaborately simple kaiseki meal of exquisite quality. Finally, we moved to a more simple tea room for an informal tea gathering (thin tea), and shared the recognition that we had been blessed with a rare experience. On another occasion, my elder son and I spent an afternoon visiting the Daitoku-ji Zen temple on the North side of Kyoto. 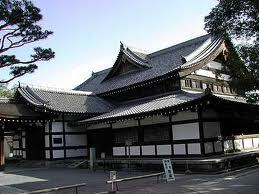 This was the temple at which Sen no Rikyu lived for most of his life. We wandered into a sub-temple and found the Zen Master giving a lecture laced with great humor to a group of high school students. Luckily my son’s Japanese is much better than mine, so he was able to tell me what was going on. After the students had left, we struck up a conversation with the Sensei, and told him that we were both practitioners of meditation. He got very excited, and brought us into the meditation hall of the monastery where we spent a fascinating hour learning rather esoteric breathing techniques. The man’s enthusiasm was contagious. As we were leaving, he asked us to stop by in the morning for more conversation and some tea. We of course agreed. The next morning he brought us into his study, and we sat on the tatami floor while he chatted away. He picked up a brush and wrote in flowering calligraphy “Cool stream flows over green moss.” He handed it to me with a wink, and said in English, “Japanese air conditioning.” He then continued chatting and joking as he prepared a cup of tea, and he was well into the preparation before I realized that he was perfectly performing the formal motions of the tea ceremony. I have never seen anything like it. D.T. Suzuki says in his book Zen and Japanese Culture, “Tea is Tea only when Tea is No-tea.” Even more than at the formal ceremony described above, I learned that morning what all the fuss was about. Like the rituals found in every culture, the tea ceremony is a dance of prescribed grace. 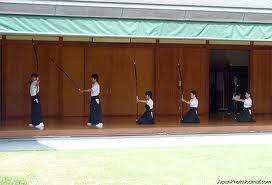 Each gesture is practiced over and over so that its precision has the flow of nature. Second, the tea ceremony is a form of worship, not of transcendental gods but of the sheer wonder of existence in the here and now. In his Book of Tea, Okakura Kakuzo puts it this way: “Tea…is a religion of the art of life. It is a worship of purity and refinement, a sacred function at which the host and guest joined to produce for that occasion the utmost beatitude of the mundane (1956, 9. 33). It was a time set apart when like minded souls would “meet to drink from the common spring of art appreciation.” Finally, chanoyu, the tea ceremony itself, can be understood and appreciated only within the broader context of Chado, the Way of Tea, and this more broadly still within the context of Taoism and Zen Buddhism. The Japanese monk Eisai visited China in the late twelfth century of the common era. He returned home in 1191 with two imports of profound significance for Japanese culture: Zen Buddhism and the green tea that Chinese monks drank as an aid to meditation. (Even today, the green tea drunk in Japan carries a terrific wallop of caffeine.) Over the years, the drinking of tea ranged from monastic ritual to opulent tea-tasting competitions in great villas. It was, however, the great Tea Master Sen No Rikyu (1521-1591) who established the art of Tea as a celebration and an embodiment of the Taoist and Buddhist values that lie at the heart of Zen. Under Rikyu’s guidance, wabi-sabi, the feeling of rustic and elegant simplicity, became the soul of tea. And from this ground of wabi-sabi, Sen No Rikyu taught, spring the great flowers of the Tea Ceremony: Harmony, or gentleness of spirit (wa), Reverence (kei), Purity (sei), and Tranquility (jaku). These characteristics are the essence of Chado, and they are the essence of Zen. overcomes the hardest thing in the universe (rock). Dhyana-Ch’an-Zen Buddhism is redolent with the spirit of wu-wei. It is this spirit that flows through, and is embodied by, the great Zen arts, each of which is manifested within a particular ritual. To become a student of these arts–tea, poetry, ikebana (living flowers), or sumi-e painting–is to devote oneself to a path that leads to an awakened mind, a peaceful spirit, and a compassionate heart. 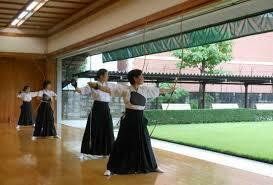 At their best, they embody the Taoist ideal of Wu Wei, as did the Sensei at Daitoku-ji. In the act of painting, or poetry, or the pouring of tea, the ego falls away, and the one pouring is the pouring. In that instant, time and eternity, the subject and the object, the pourer and the pouring, merge into non-dualistic unity. This entry was posted in Living the Love of Wisdom, Philosophy, Ritual and tagged Taoism, Tea Ceremony, Wu Wei, Zen on January 23, 2015 by jhanagan2014. Whenever I went into central Kyoto, the martial arts center was one of my favorite stops, especially the range for Kyudo–the Art of Archery. Eugen Herrigel’s book Zen and the Art of Archery was my very first introduction to Zen Buddhism, and I can still feel the excitement I felt as I read the book in the Spring of 1968. I don’t think it is accurate to call the Zen arts in general, and the Art of Archery in particular, “religious.” The use of the word “religious” is problematic when applied to Japanese culture. For most Westerners, the word carries the connotation of rigid dogma, exclusivity, and strict moralism. None of these characteristics applies consistently to Buddhism or Shinto, which from the Nara period (8th century CE) have been marked with a syncretism only occasionally marred by feuds or Nationalistic cooptation. During the six years I taught in a Japanese University, I had a fascinating time explaining why Westerners took Religion so seriously. This entry was posted in Aging, Haiku, Japan, Ritual, Tao and Zen and tagged age, carpe diem haiku kai, Kyoto martial arts center, kyudo, Zen on January 12, 2015 by jhanagan2014. 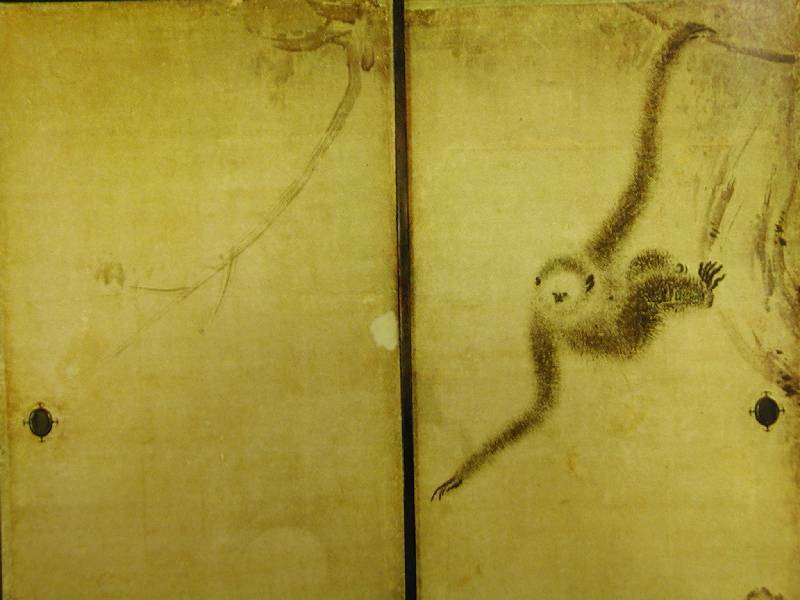 It seems to me that the monkey’s grasp on the branch symbolizes the attachment that the Buddha taught was at the root of all human suffering. I’d like to look at three facets of this attachment. First, the Buddha taught that human suffering is caused by attachment to wanting life to be the way we want it to be or think it should be. This causes us to resist life as it is, which in fact sets us in opposition to life. In his Handbook Epictetus says that we will drive ourselves crazy trying to control what can’t be controlled, and what can’t be controlled is everything outside our own minds. Our attitudes, beliefs and values are under our control, he says, and this is where we need to focus our energy and attention. What happens to us is never the cause of suffering. What we think about what happens to us causes our suffering. The second facet of attachment is a corollary of the first. The mind is something like the static lens of a camera. It freezes the world and other people so that I can be secure in my (supposed) knowledge of how things are. But, really, this is like trying to capture a river in a water glass. The world and the people in it are constantly flowing, and in order to see this we need to relax the grip we have on old ideas. When we think we know something or someone, we stop looking closely. This casual taking for granted is especially easy to do, and a fundamental cause of suffering, when that someone is an intimate member of our chosen or natural family. When you live with a person for years on end, it is tempting to think that we know them like a book. What a tragic misconception this is. This entry was posted in Grasping Monkey, Philosophy and tagged attachment, Buddhism, Grasping monkey, Hakuin, Hasegawa, transformation, Trishna, Zen on August 14, 2014 by jhanagan2014. If the ideas in the previous post concerning the branch of attachment seem at all cogent, it is because I have spent so much of my life clinging to that damn branch! My experience of the pool, however, is much more tenuous and fleeting. Rather than talking about its nature (which might be impossible), perhaps I can describe some of its cooling springs. The how also points to another fascinating conundrum that my students raise. Doesn’t lack of attachment engender a lack of caring? If I am not attached to this post–where it will go or who will read it–can I really be said to care about it? I would suggest that the more I am attached to the protective and defensive needs of my ego, the less I am able to care for the people and things in my life. Milton Meyeroff wrote a lovely small book, On Caring, in 1971. He says that to care for another person or thing or idea is to support and to rejoice in its growth, while maintaining respect for its own inner nature and agenda. True caring, that is, entails relinquishing control over the timing and direction of the other’s growth–a difficult trick, indeed, for parents. This idea, however, is similar to the Taoist teaching of wu-wei, that implies a life of graceful activity without a self-inflating sense of authorship or control. This question, I think, raises complex issues involving the object of my caring, and the motivation that fuels it. Surely, there are healthy ways to care for oneself, and destructive ways to care for others. Clinging attachment to oneself or another, however, engendered by a fearful dependency, does seem to diminish the ability truly to care. Examples abound: the more I am attached to winning a game, the less I care about the wonder and the joy of the game itself, and my playing suffers. The more I am attached to my righteous ideas of Peace, the less peacefully i work for peace. It is so easy to lose sight of the fact that I cannot nurture a more peaceful world by injecting it with more hostility and little regard for the humanity of my ‘enemies.’ Finally, the more needy attachment I have for my significant other, the less I can love and care for her. If we monkeys can let go of our dependent attachment to our own ideas and the needs they engender, then our egos could at least occasionally disappear into the pool of caring. That, after all, is where we long to be. This entry was posted in Grasping Monkey, Philosophy and tagged attachment, Attention, Buddhism, Caring, Enlightenment, Grasping monkey, Hakuin, listening, Looking, monkey mind, pool of awareness, presence, Zen on August 14, 2014 by jhanagan2014.